In the world where meat sandwich between two pieces of bread has been made a sensation since It’s creation in the USA. It’s hard to compete in London with the ever-growing restaurants growing and opening within doors of each other. 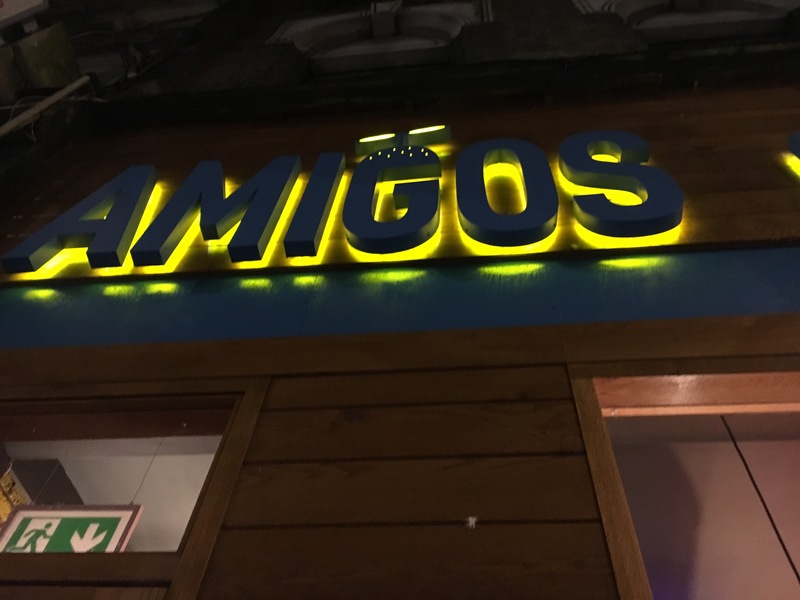 I came across Amigo’s on the long stretch of Uxbridge Road along Shepards Bush road. Nail shops, European bakeries, McDonalds, KFC, PFC, neighbors Amigo’s. Looking at the menu on the restaurant window, the main focus are the burgers, served in three different sizes you get either 6oz, 120z, or 18oz with a choice of different styles. Amigo’s owners takes their flavour combinations inspiration from all over the world. From the borders of the USA to the Greek Isles. I really fancied a chicken burger, and was spectacle if Amigo’s chicken fillet will come out too dry but I took that risk. Walking inside there wasn’t much people, and I liked the deco of the place. Vibrant colourful neon signage, expose brick walls, you have to order by the till at the front before seating. The menu clearly states meat is Halal, food that is permissible to eat for Muslims. The Chicken comes in 3 different glazes, hot, mild or BBQ. I choose BBQ and order a side of potato fries. Seating by the window of the restaurant, the food arrived within 15-20 mins. 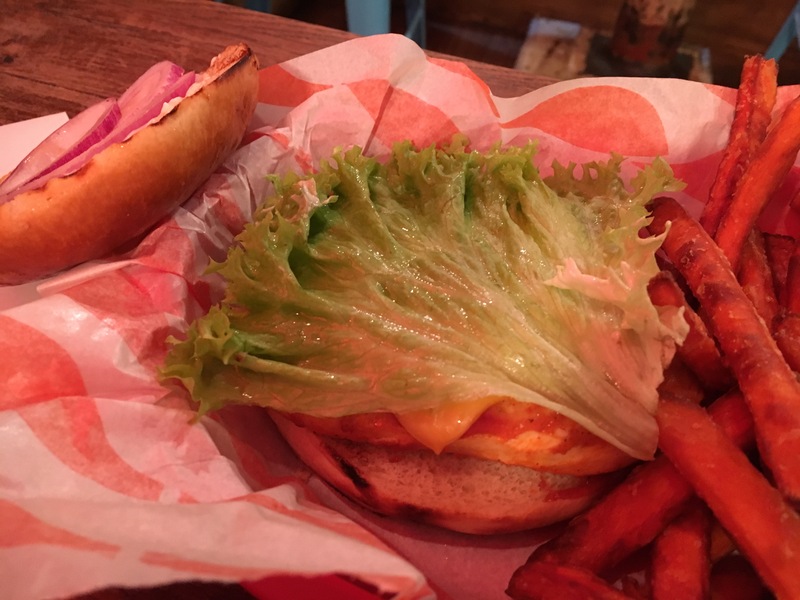 A simple burger, flamed grilled chicken fillet, melted slice of cheese, squirt of mayonnaise, slices of raw red onions and a slice of lettuce leaf. Meat was thoroughly cooked and did not taste dry at all, the BBQ glaze was subtle but enough to flavour the meat. 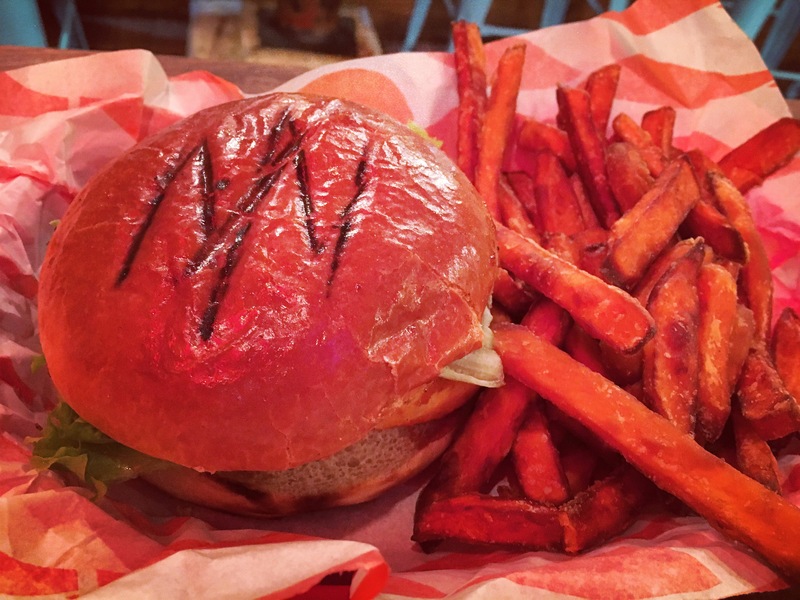 The sweet potato fries cannot be faulted either, fried and cooked perfectly without limping with a beautiful crunch on the edges. 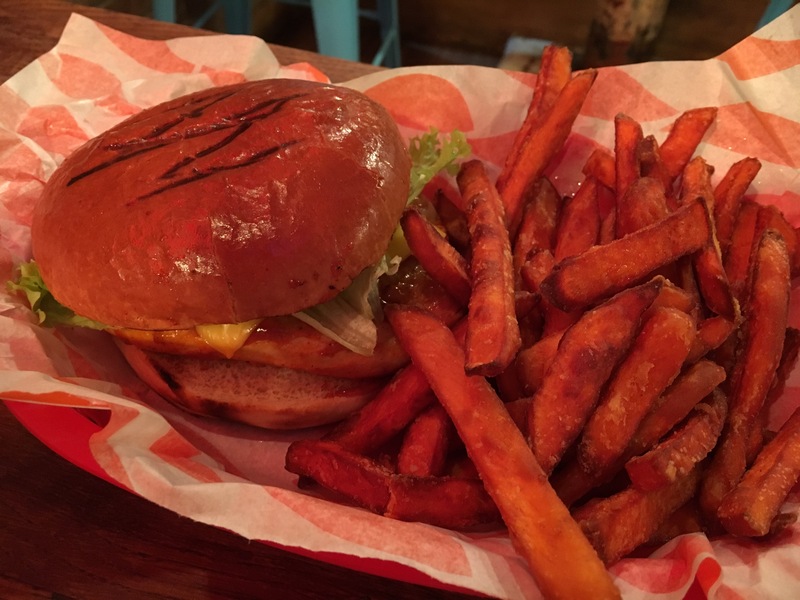 Amigo’s is a happy and cheerful place to enjoy decent American fast food with the Halal stamp on it.